In light of the tragic events in Boston yesterday, many gathered together to help the wounded during the attacks, donate blood to hospitals in need and revisit the site to recognize the victims. So far, over 170 have been reported injured, and three are confirmed dead. 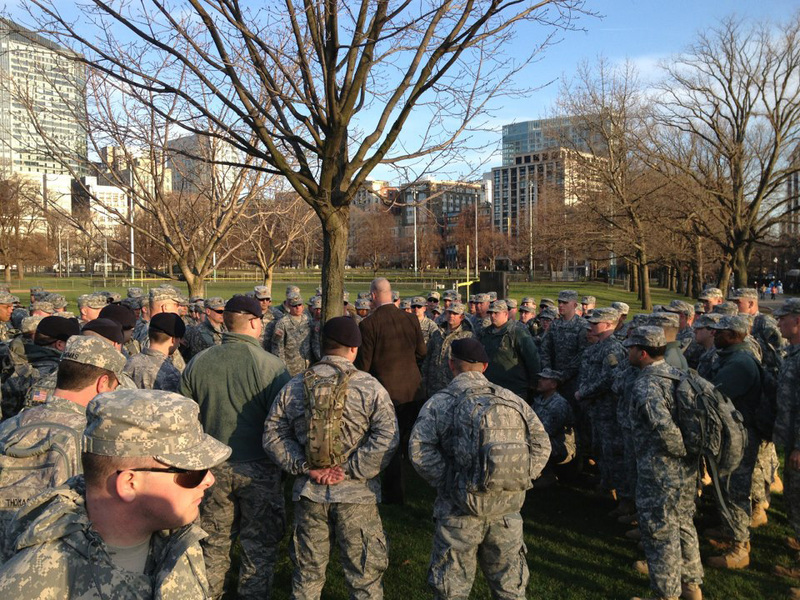 Along with first responders, the Massachusetts National Guard received orders to assist the Boston police and provide additional support in the aftermath of the attack. Rhode Island and New York also provided troop support. Early Tuesday, the Massachusetts National Guard reported more than 1,000 personnel on duty — additionally, the Massachusetts National Guard’s 387th Ordnance Company (explosive ordnance disposal) activated, and the 267th Combat Communications Squadron’s Joint Incident Site Communications Capability (JISCC) headed to Boston to assist with interagency communication, wirelessly connecting deployed personnel, according to a National Guard press release. **UPDATE** As of early April 17,more than 780 troops were still on state active duty. However, civil support personnel from New York and Rhode Island have returned home, and aviation personnel stood down. The Massachusetts National Guard continues to assist local and state authorities, overseeing transit and perimeter security to the main area affected by the explosions.